In 1979 while pursuing a career as a painter, Barry began drawing a weekly comic strip incorporating stories considered to be incompatible with comics at the time. Stories, as Barry puts it, “that had a lot of trouble in them.” Widely credited with expanding the literary, thematic and emotional range of American comics, Barry’s seminal comic strip, Ernie Pook’s Comeek, ran in alternative newspapers across North America for thirty years. Barry has authored 21 books, worked as a commentator for NPR, and had a regular monthly feature in Esquire, Mother Jones Magazine, Mademoiselle, and Salon. 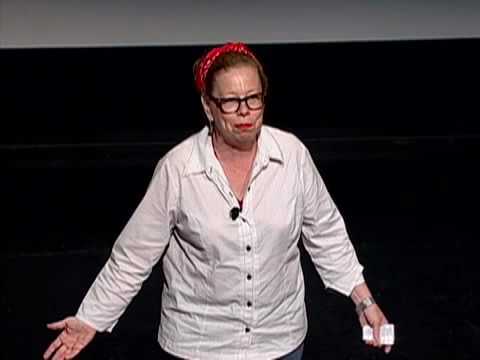 She created an album-length spoken word collection of stories called The Lynda Barry Experience, and was a frequent guest on the Late Show with David Letterman. She adapted her first novel, The Good Times are Killing Me, into a long running off-Broadway play, since published by Samuel French and performed throughout North America. Her book One! Hundred! Demons! was chosen as the Freshman all-read title at Stanford University. 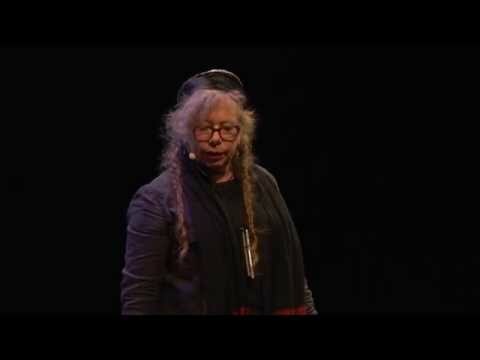 Her novel Cruddy was called “a work of terrible beauty” by the New York Times, and has been translated into French, Italian, German, Catalan and Hebrew. Her new book is about the creative process with a how-to for comics titled Making Comics (Drawn & Quarterly, September 10, 2019). 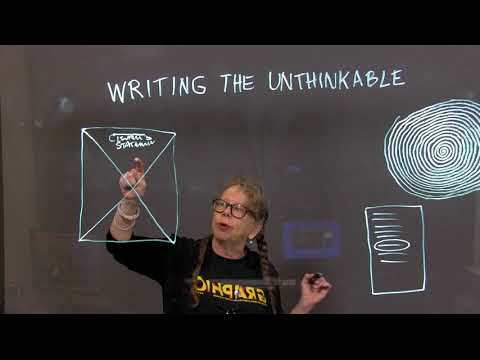 Lynda Barry’s “Writing the Unthinkable” workshop—especially designed for non-writers—was the subject of a New York Times Magazine article and is the basis for her award-winning book What It Is. 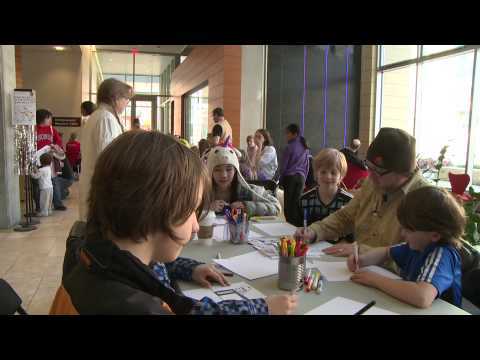 She is an Associate Professor in Interdisciplinary Creativity at the University of Wisconsin-Madison and the Chazen Family Distinguished Chair in Art. 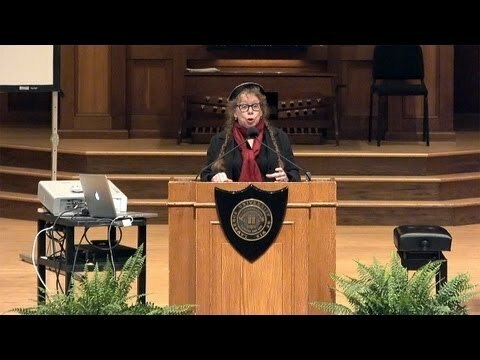 At UWM she has also led writing workshops for the public, and hosted a ‘Seeing-Eye’-themed series of popular public talks with guests Ryan Knighton, blind writer and writing teacher; Ivan Brunetti and Chris Ware, legendary contemporary cartoonists; Matt Groening, creator of The Simpsons; and Dan Chaon, acclaimed novelist and short story writer. Barry has received numerous awards and honors for her work, among them two William Eisner awards, the American Library Association’s Alex Award, the Wisconsin Library Association’s RR Donnelly Award, the Washington State Governor’s Award, the Holtz Center for Science & Technology Outreach Fellowship, The Museum of Wisconsin Arts Lifetime Achievement Award, and the 2017 Milton Caniff Lifetime Achievement Award from the National Cartoonists Society. 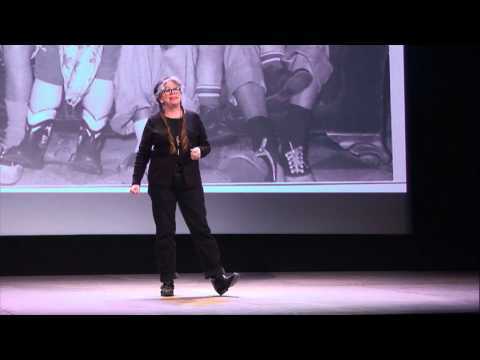 She also received an Honorary Doctor of Arts degree from Philadelphia University of Art in 2015, and was inducted into the Cartoonist’s Hall of Fame in 2016.